- Tested for its Tensile strength. - Best peeling and sheer strenght. - Elite product with top line quality. - Available in different sizes ranging from 16mm to 100 mm in Black , White and different colors. Our company has been successful in winning appreciation from the clients as one of the most prominent names in supply of Velcro Hook & Loop Fasteners. We are a top notch supplier of Velcro Hook & Loop Fasteners. 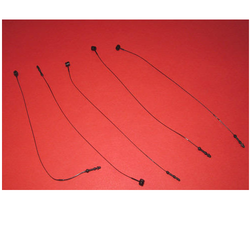 Banking on our enriched industry experience, we are able to supply Velcro Hook & Loop Fasteners. Hook and Loop Fasteners is a kind of fastening material, which is a very useful product for industries in various application areas. Keeping this in mind, we, at Nagpal Thread Factory delivers the best quality Hook and Loop Fasteners for Fabric to be used by range of customers. 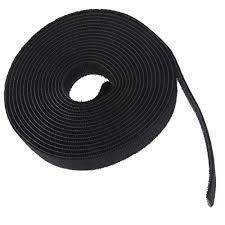 we are leading manufacturer of fastener tapes (hook and loop tapes) in all size in black and white colour. We are a leading manufacturer of Hook & Loop Fasteners. We also manufacture insect screens and allied products.